Thanks to everyone who showed an interest in guest blogging yesterday! After getting off student teaching I literally ran nonstop last night, so I have not yet had time to respond to any of you, but will try to figure it all out and come up with some sort of schedule this week..I will be in touch! My first day yesterday went fabulously! I love my teacher as well as all of the other 1st grade teachers I spent much of the day with. The school has a very fun, laid-back culture which makes me excited to be a part of it. For today's post I wanted to share one of the many perks of teaching with you...packing a lunch! Not only do you get to save money by taking your own meals, but you ALSO...get to carry a cute lunch box! 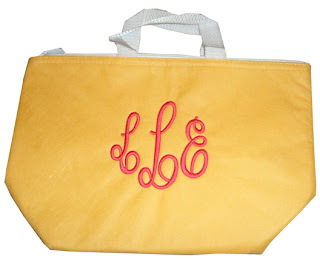 I actually have this exact one, but with my initials and a diamond shaped monogram! Built "Gourmet Getaway Lunch Tote"
Vera Bradley "Let's Do Lunch"
Lilly Pulitzer "Lator Gator Insulated Lunch Bag"
When I mentioned to my mom I was thinking of getting this, she said she would get it for me as a treat for starting student teaching! ah student teaching! Tell me everything! We need to have a serious email chat, things are getting crazy here in Htown!! I also need a lunchbox for school...I'm thinking the Two's Company with initials, so adorable! When I worked for AmeriCorps I took lunch everyday! I love the lunch boxes you found! Super Cute! 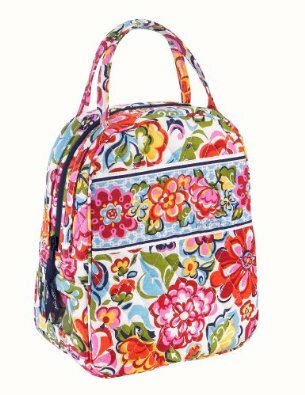 I have a vera one and absolutely love it! I packed a lot of fruit, or salads (with the dressing on the side), veggies and hummus! But I had to have my occasional PB sandwich! Glad you are enjoying student teaching! A tortilla spread with peanutbutter and apple slices..roll up and so yum! Love your new treat...you are going to be the best teacher!!! Leftovers are always a nice treat, but I usually had peanut butter and honey or Lean Cuisine! Not very impressive, I know :). 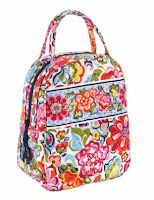 I really like the Scout and the Vera Bradley one! I used to pack my lunch all the time when I was working but I never used a cute bag...silly me! I try to pack lunch when I can... saves so much money. I love your pics. I left my Scout lunch bag on the train last week, I was so upset. :( Time for a replacement! I love packing a lunch! You can guarantee a healthy lunch that way. I love the adorable ones you've found! I'm so happy it went well!!! 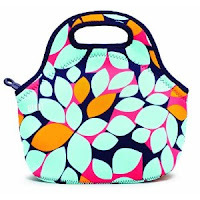 Love all of these, thanks for the ideas, i"m always looking for a cute lunchbox! congrats on your first day!! hope they keep getting better and better! those are toooo cute! 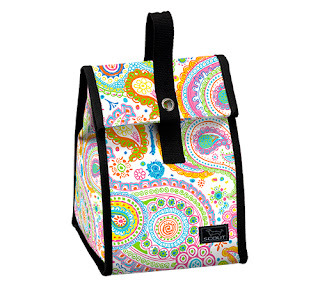 you will def be eating lunch in style! 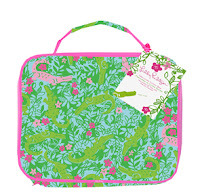 I have a really cute pink and green monogrammed lunch box that matches my teacher tote. Packing a lunch is a must for teaching, especially when you spend half of lunch helping your kids get through the line. I like salads, turkey sandwiches, hummus and pita chips, lean cuisines that cook in less than four minutes, and leftovers. I also usually throw in string cheese, a chewy bar, or a piece of fruit for my planning period or to eat while doing work after school. Can't wait to hear more about your student teaching! Right now? Fresh tomato sandwiches! A perfect school lunch. Do you live near a Publix? If so, you have to try the Boar's Head port marinaded roast beef in the deli. Grab a loaf of mountain bread and some swiss cheese. A GREAT sandwich! I love to make a Greek Salad, with Stacy's Pita Chips, after I saw it on a blog...it is basically lettuce, tomatos, yellow bell pepper, cucumber, feta and then olives if you want them...and red vinegar mixed with EVOO. Yum. so good that your teach fits you well! That will make the whole experience so much better. I love BUILT cases, ect. i also pack a bag of cherry tomatoes and baby carrots! 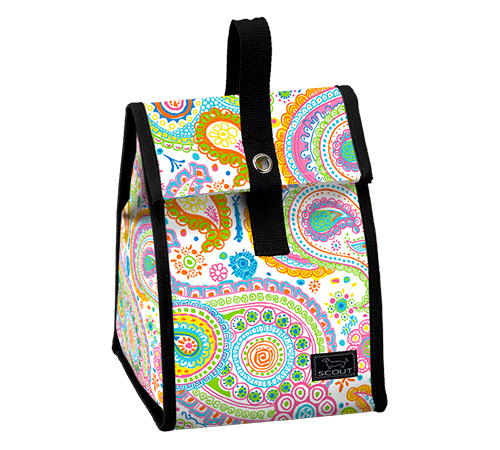 I love the Built Gourmet Getaway lunch tote! Also congrats on student teaching, I know it's exciting! Cute! I haven't seen most of those! I use the plastic 'Little Brown Bag' from Bloomingdale's! so glad your first day went well! Sometimes I've packed my lunch for work this Summer. I have an orange and white striped lunch bag with my monogram in navy on the front. Love all of your picks! Love the Lilly one! So preppy and perfect! When's your birthday? !